Pinback/Bellini (The Loft): I'm sure a lot of Pinback fans will be in for a pretty rude awakening when Bellini takes the stage tonight, and I think it's a great decision on both band's parts to have the group as the opening act. The group's explosive, blistering and intense music is...well, that and many more adjectives that are the opposite of Pinback. 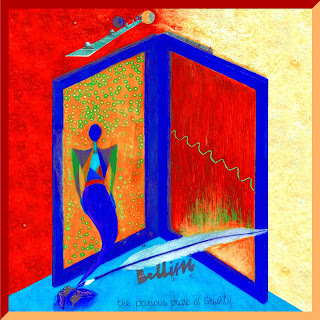 Bellini's lead singer, Giovanna Cacciola, and guitarist, Agostino Tilotta, are a married couple from Italy, and they have been playing music together since the late Eighties. To see these two on stage is really an experience, especially watching a fifty-something year-old man writhing, jumping, and violently thwacking his guitar; basically doing the same thing musicians half his age do and look completely stupid, and yet he pulls it off. Giovanna is as equally powerful a vocalist as her husband is a guitarist; her pleading, urgent singing is as forceful as it is wounded. Though I still miss original drummer Damon Che's completely inhuman and cephalopod-like acrobatics, the rhythm section consisting of Texan Matthew Taylor and Girls Against Boys' Alexis Fleisig is suitably impressive. Bellini is an inspiring group and I have not missed them once in the past seven years. Easily the best act on Temporary Residence, and probably the last band that I can still really support playing Chicago underground-styled, "beautifully aggressive" music. Disqo Disco (Fallout Lounge): Tonight is Redsean's birthday, so wish him well. -1 Hand-signed copy of EA’s long awaited book: "The Asylum For Wayward Victorian Girls"
There's no real accounting for something being "long-awaited," so I guess I can't really knock that description, but I can knock this one (used by Autumn to describe what she does): "punktorian." Ouch.